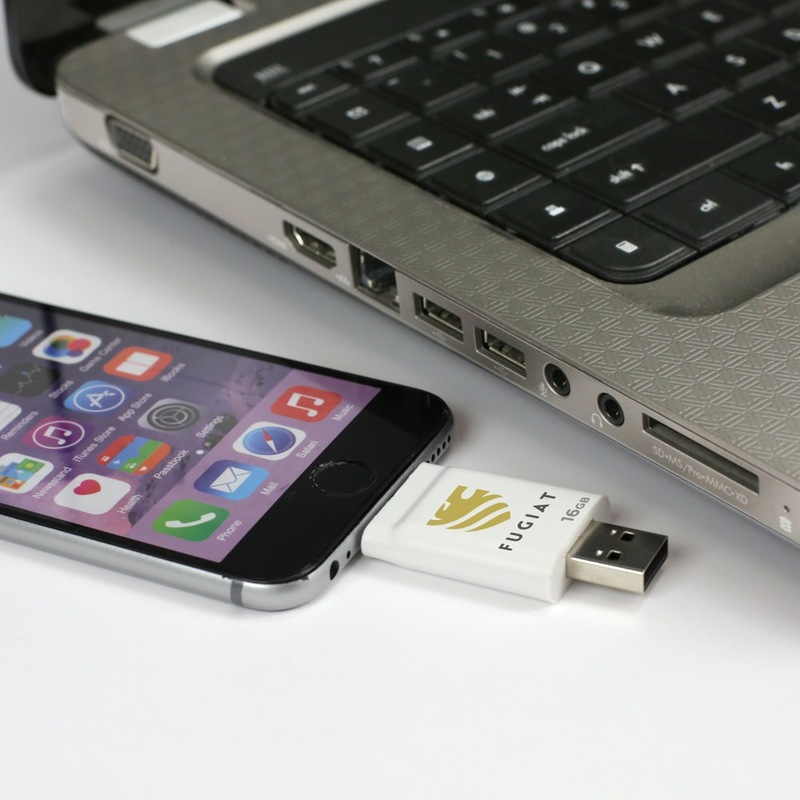 The iFlash 2 in 1 Lightning to USB Drive works like an external hard drive for your Apple® phone. 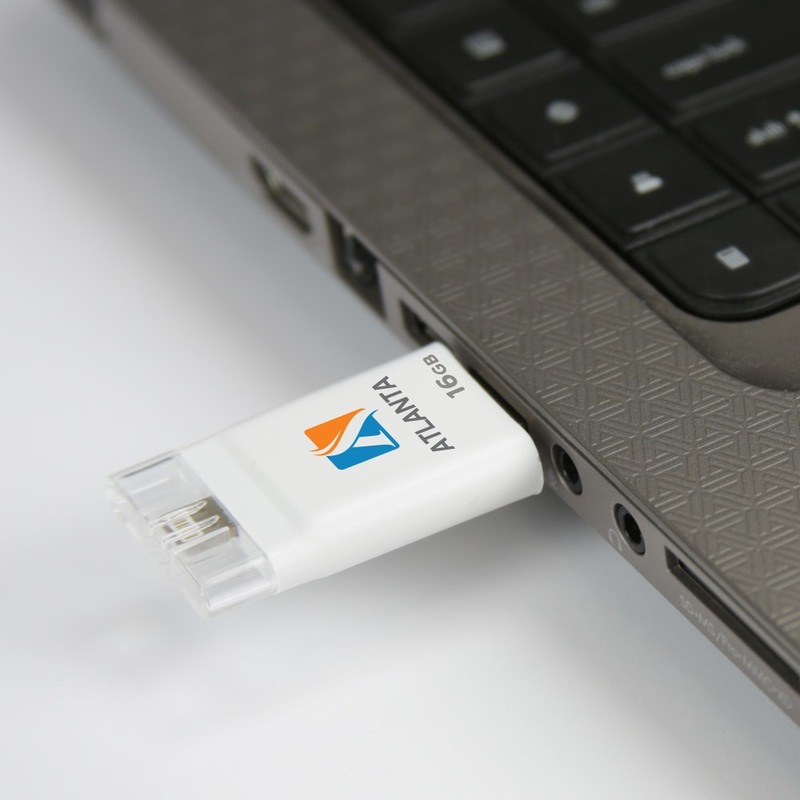 With a standard USB connector on one end and a Lightning connector on the other, the additional mobile storage from the iFlash USB Drive can be used to backup or transfer movies, music, photos, and more*! 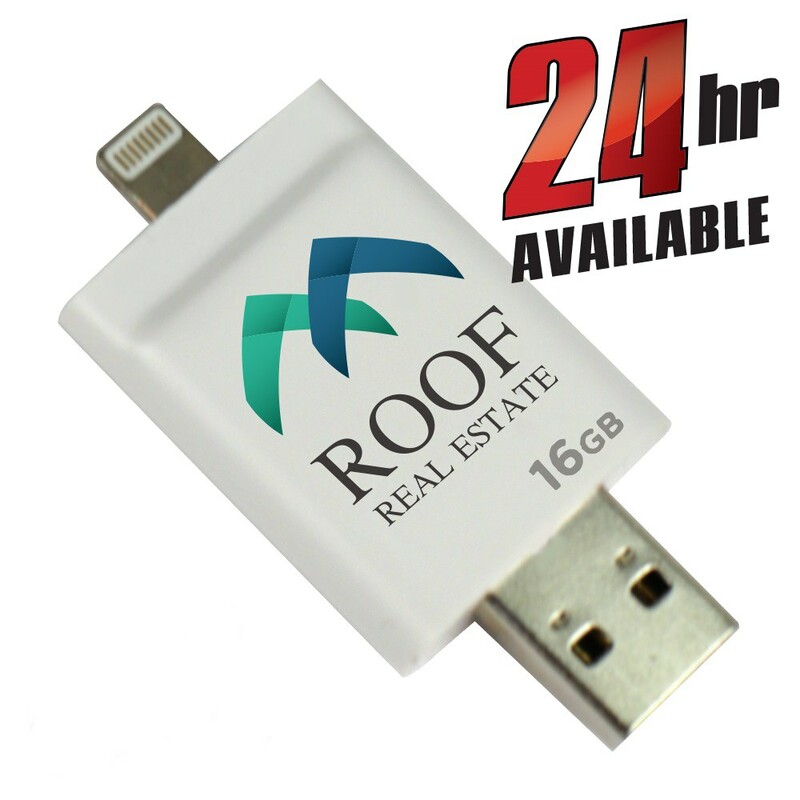 Ideal to use for promotional thumb drives, just hand these out at your next trade show or company sponsored event and watch your numbers flash like lightning! Turn Times: Express in 1-3 Business Days, Standard in 14 Business Days. If you have a target customer base that love Apple products, then they’ll love the iFlash 2 in 1 Lightning to USB drive! This promotional USB drive is perfect for additional data back up on the go and advertising your company! Combining value, marketing know-how, and practical use, the iFlash 2 in 1 works as a hard drive for Apple products. 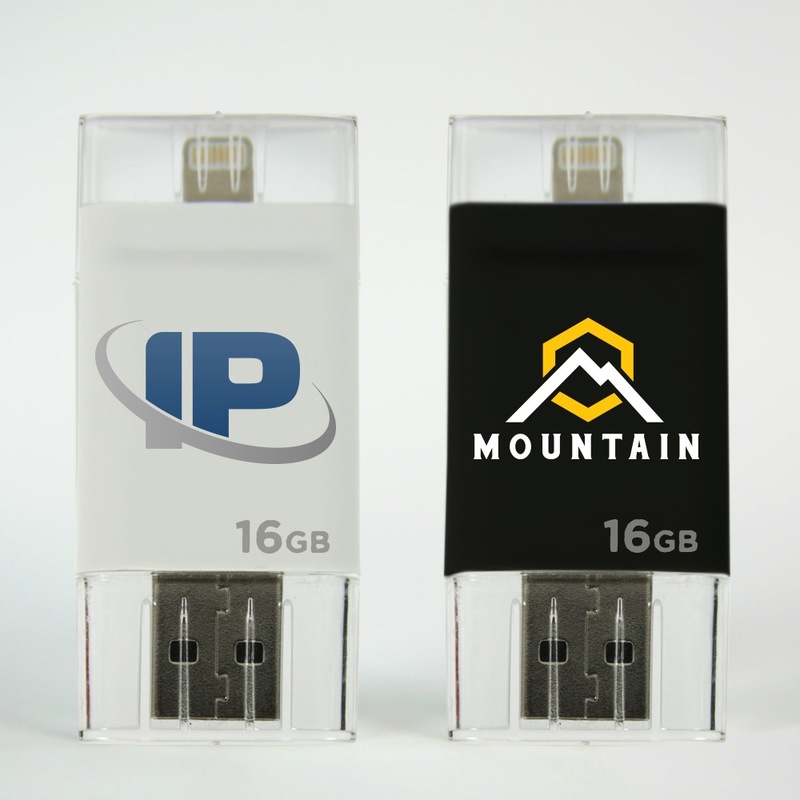 Your custom logo will be printed right on the drive case in pristine colors and lines that will do your brand justice. 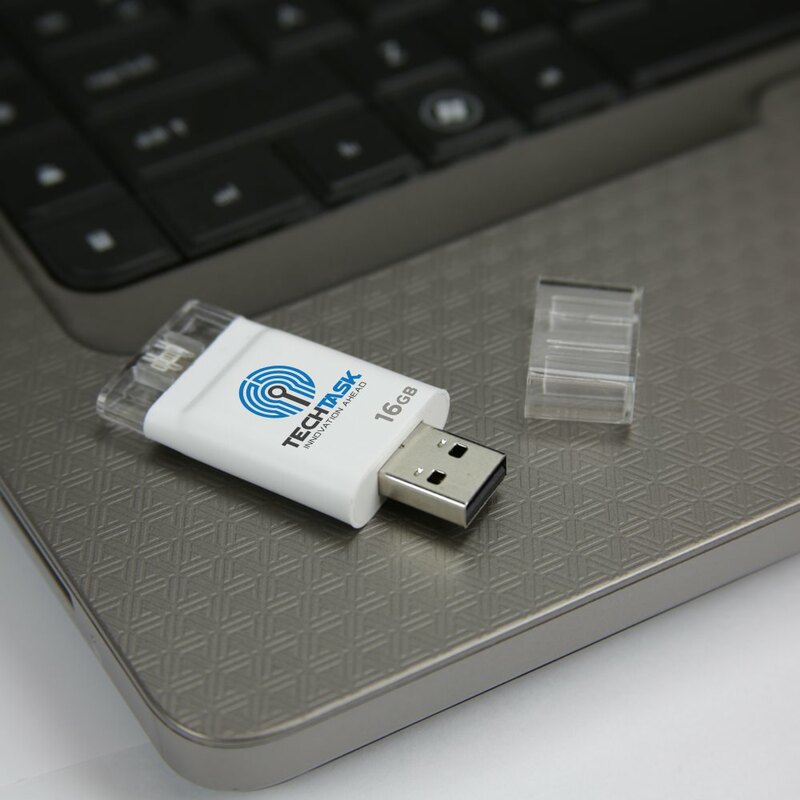 With a limited lifetime warranty, up to 10 years of data retention, and a shock resistance capability of 1,000G, this promotional gadget is worth the investment!